The philosophy of Epicurus wielded great influence, both in the ancient world and in the early modern world (as Steven Greenblatt shows in The Swerve; link). That philosophy was atomist, materialist, atheist, and oriented towards happiness as the highest human good. (The atheist part is complicated; he didn't deny the existence of the gods, but he denied any possible connection between them and humanity.) It is a life philosophy that emphasizes moderation of desire, friendship, and inner tranquility. And perhaps unexpectedly, it is not hedonistic in the usual understanding of that term. So what is not to like about this philosophy? The basic premises of materialism and humanism are just as solid as they were in the 3rd century BCE. To be sure, physics and the understanding of the fine structure of the world has moved beyond the atomism of Epicurus. But the conviction that all that exists is natural and that there is no supernatural -- this conviction holds true. And the philosophy of living seems compelling as well. Live to create happiness for yourself and those around you, for the fullness of a human life; be grateful for the pleasures afforded you; be attentive to your friends; do not fear death. These are powerful maxims for constructing and living a good human life. We might even say that it provides a powerful alternative to the dominant consumerist model of happiness that is presented to us every day -- more things will make you happy. 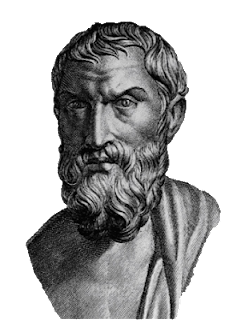 Epicurus urges us to find our way to taking pleasure in a piece of barley bread and a half pint of weak wine, and the occasional luxury of a pot of cheese. In a world of increasingly strained resources, we need more models of happiness that emphasize satisfaction rather than consumption. This letter by Cicero is an impressive piece of philosophical reasoning throughout. Cicero teases out the implications of various concepts and premises -- cause, truth, fate -- and shows that the atomist theory of Epicurus fails to make coherent sense of these concepts. Several things seem fair to judge from this quick sample. First, Epicurus made sustained efforts to contribute to the theory of the atom and the void. His contributions were sometimes original, and they were philosophically assailable. Second, he had very little by way of a developed theory of the justice of society. Unlike other figures in Greek philosophy, he seems to have devoted little attention to the larger workings of society beyond the personal. And third, his philosophy of living -- what is really his most powerful and enduring contribution -- remains insightful and inspiring. This is so, not because of the specific arguments he offers, but largely because of the way he makes sense of permanent human circumstances like pleasure, suffering, sickness, friendship, and death. That philosophy presupposes materialism and atheism; but it isn't dependent on the specifics of Epicurus's reasoning about the technical issues surrounding atoms, motion, and the swerve. Sometimes the rubric "behavioral science" is used to capture some of the research areas of fields like sociology, anthropology, political science, and social psychology. In some ways this usage is no more than an administrative convenience, a way of grouping disciplines into schools. But the phrase has implications beyond this that are worth highlighting. First, what does the label mean? We might paraphrase the idea as "the scientific study of human behavior in social settings". This definition emphasizes the social dimension of action, but it focuses on the behavior rather than the context. Choosing this rubric rather than its companion, "social science," suggests a shift of emphasis from the social setting (structures) to the actual behavior of the individual actors. Are there patterns we can identify in the ways people behave in various specified settings? And since the 1950s the expression has been used to focus on the processes of cognition and decision-making that underlie the individual's activities in the world. So cognitive science and fields making use of rational choice theory have often been included within the umbrella as well. Herbert Simon's work plays a central role in this aspect of the field ("Theories of Decision-Making in Economics and Behavioral Science"; link). This is the "behavioral" part of the label. What about "science"? This part of the label brings along a set of implications about the nature of the studies encompassed: measurement, prediction, precision, statistical generalizations and patterns. These are positive valences or connotations for a variety of purposes, including the goal of gaining significant funding for research. But they also appear to give lower priority to the ideas of theory and hypothetical entities and the messy complexity of large sociological theorizing; the implication is that behavioral sciences are solidly empirical and observational, whereas the social sciences are "soft science". Is this a helpful move? Yes and no. In its favor, the label pushed forward a particular agenda of research into the underlying components of social action. But it also served to suggest that the methods of other areas of the "social" sciences were not quite up to snuff. One of the most prominent locations for "behavioral science" research in the United States is the Center for Advanced Study in the Behavioral Sciences at Stanford (link). The Center was established as one of the first major investments of the Ford Foundation in 1954. Leading scholars helped to found the Center: Robert Merton, Paul Lazarsfeld, Donald Marquis, Ernest Hilgard, Herbert Simon, Bernard Berelson, and Ralph Tyler. Here is a revealing gloss on the nomenclature contained on the website: "It wasn't too great a leap then to assume that we needed a social science, or behavioral science (the term coined and preferred by Ford as a means of disassociating the enterprise from socialism and even communism that were so under attack at the time) to solve our major problems." This comment illustrates the "scientific politics" that surround the development of disciplines and fields of research in the social sciences. So there is some reason to think that the nomenclature of "behavioral science" serves a scientific-political purpose: to direct American social science research in a particular set of directions, and to discourage research that extends in more theoretical, comparative, and "macro" directions. An interesting set of essays that try to make sense of the idea of "cold war social science" is provided in Mark Solovey and Hamilton Cravens, Cold War Social Science: Knowledge Production, Liberal Democracy, and Human Nature (2012). The volume maintains a degree of distance from the idea of "cold war social science", but some of the contributors highlight the forces that were at work in the funding and institutions of the social sciences that created a degree of alignment between social science research and national security. Particularly interesting is Hamilton Cravens' contribution, "Column Right, March! Nationalism, Scientific Positivism, and the Conservative Turn of the American Social Sciences in the Cold War Era". Here is the publisher's description of the volume as well as the table of contents; link. Steven Greenblatt's recent book, The Swerve: How the World Became Modern, is an ambitious widening of Greenblatt's intellectual palette. The title of the book refers to one of the central ideas in the metaphysics of Epicurus: the idea that atoms sometimes deviate from their straight courses, permitting collisions. This fact, according to Epicurus, is the only possible source of freedom of the will. So swerving is what takes determinacy out of nature and human action. Greenblatt's book shows a great deal of regard for the philosophy of Epicurus and the voice of Lucretius. Lucretius's poem was a passionate follower's presentation of the philosophy of Epicurus. Lucretius aimed to present the materialism, empiricism, ethics, and atheism of Epicurus to Roman literati in the most convincing way possible, because he was himself a devoted follower of Epicurean philosophy. Greenblatt gives a good exposure to what some of those ideas and values were, and he believes that its rediscovery in the early fifteenth century had a major influence on the development of western culture from that point forward. But this isn't primarily a treatment of Epicurus or Lucretius or philosophical ideas. Instead, it is an account of the fragility and contingency of books and ideas in history. Greenblatt relates the circumstances of the rediscovery of Lucretius's The Nature of Things by Poggio Bracciolini in the early fifteenth century. It was Poggio whose obsession with ancient words and books prevented the permanent loss of this work. Poggio isn't romanticized. But it was his passionate commitment to Latin rhetoric, grammar, and thought, and his conviction that the current times were a corrupt deviation from the ideals of the ancient world, that led him to his pursuit of forgotten manuscripts throughout Europe. Greenblatt paints a vivid picture of the intellectual environment of educated secular men like Poggio in the circumstances of early-Renaissance Rome and Florence and the complicated windings of the Catholic Church within that world. This is fascinating and absorbing all by itself, similar to Greenblatt's work in Will in the World: How Shakespeare Became Shakespeare. But even more fascinating is a persistent subtext, unspoken but visible: human civilization itself took a disastrous "swerve" when Christianity took hold and the values, knowledge, and secular lives of the ancient world were all but extinguished. The humanism of Greek and Roman philosophers was eclipsed and largely forgotten, and a harsh and punitive religious orthodoxy took its place. The vile and bloody murder in 415 of Hypatia by a Christian mob in Alexandria captures well this transition (kindle loc 1435). Books, independence of thought, the love of learning for its own sake -- these values so prominent in the ancient world were suppressed and forgotten. Nothing more emblemizes this swerve than the clarity of Lucretius and the near extinction of his thought in the emerging world of Europe after the dark ages. 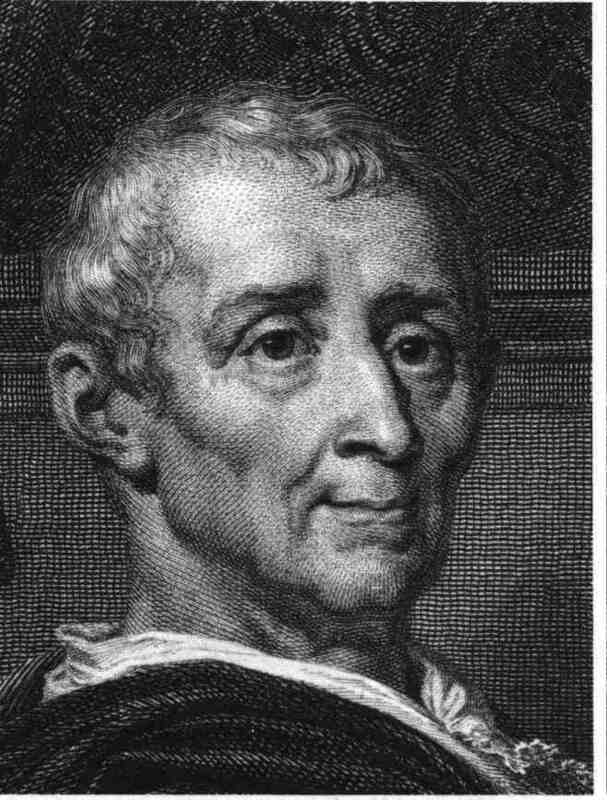 The rediscovery of the Lucretius book permitted the reintroduction of a revolutionary set of philosophical ideas into the Renaissance world that had enormous and emancipating effect. And yet it was a near thing: without Poggio's determination to rescue ancient books, this manuscript might well have eventually have turned to dust. What seems particularly interesting about this episode is the force it gives to the idea that every aspect of human history is contingent. There is no teleology; there is no tendency towards better and better systems and values; there is often not even a cumulativeness of human achievement; there is only the helter-skelter randomness of key events that push developments in this direction or that. Here is a good article by David Konstan on Epicurus in the Stanford Encyclopedia of Philosophy; link. There are affordable Kindle editions available for the writings of Epicurus and Lucretius, as well as Greenblatt's own book. The social world is not like the natural world. Nature is composed of things, forces, and geometries that have strong determining regularities whose interactions can be formulated with mathematical precision. There are problems of indeterminacy in physics, of course; but fundamentally we can rely on the material properties of steel, the magnetic properties of the sun, or the curvature of space-time to continue to work as expected. Nature constitutes a system of interactions. And this is because, fundamentally, nature consists of atoms and forces -- as some of the pre-Socratic philosophers thought 2,500 years ago. The social world is different. It is not a system, but rather a patchwork, a mixture, an ensemble, a Rube Goldberg machine, a collage, or a jumble. Its properties arise from the activities, thoughts, motivations, emotions, and interactions of socially situated persons. Outcomes are influenced by a hodgepodge of obstacles and slopes that crop up more or less randomly -- leading to substantial deviations in the way we might have expected things to work out. Agents are not fully predictable or comprehensible; and their actions and interactions are indeterminate as well. We discover that people usually compare costs and benefits when they make choices, and we invent rational choice theory and microeconomics. But these are simply abstract models of one aspect of human behavior and choice, and it is rare indeed to find large social processes that are governed exclusively by this aspect of agency. We see large, somewhat stable social structures that persist over time -- patterns of habitation and social exchange (cities), patterns of racial or ethnic discrimination, rising and falling rates of violent crime -- and we believe there are social causes and influences that help to explain these dynamic configurations. But we should never imagine that social outcomes and patterns are the manifestation of an underlying abstract social order, analogous to laws of nature. Social causes are heterogeneous, probabilistic, exception-laden, and inter-connected -- with the result that we can't hope to have a full model of the workings of a social system. The heterogeneity and contingency associated with the social world suggested by this set of ideas do not imply that social scientific research and knowledge are unattainable. It implies, rather, that we need to understand the limits on representation, abstraction, and prediction that are implied by the fundamental nature of social things. Our knowledge of any particular snapshot of social reality is inherently partial and incomplete. 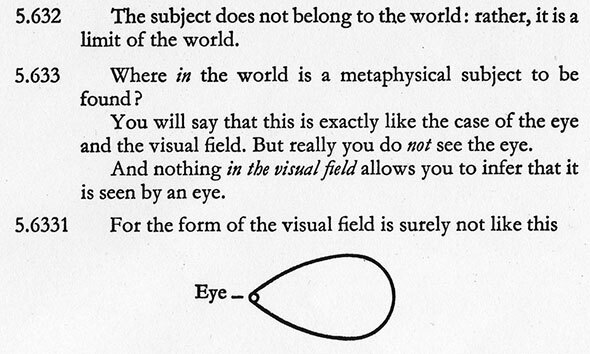 So we should not think of the social world in analogy with examples drawn from what we know about the natural world. We should not think of society as a "thing" or a unified system. The ontological properties of the the natural and social realms are substantially different. This is the primary reason I find some of the basic ideas of assemblage theory appealing: because these theories and theorists deliberately question the naturalistic approach to the social world, and they attempt to advance strikingly different and original concepts for characterizing the social world. They emphasize heterogeneity and composition over uniformity and subsumption. It is striking to consider the parallel that emerges between this way of thinking about the "social" and some post-Cartesian ways of thinking about the "self". Some philosophers and psychoanalysts have argued that we should question the idea of the unified self that has governed the philosophy of mind since Descartes. 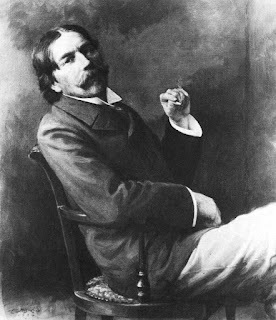 Instead, we should consider the notion that the self is not a unified center of consciousness and will, but rather a loose and contingent collage of psychological, physiological, and neurophysiological processes; that the impression of a unified self is a post-facto illusion; and that acting, thinking individuals are coalitions of a heterogeneous and often conflicting group of cognitive, emotional, and practical processes. These are radical challenges to the rationalist theory of the unified self. And they bear a striking similarity to the assemblage challenge to the idea of society as a law-governed structural-functional system. Here is a word cloud of descriptors that seem accurate in application to the social world. Readers -- what sociologists or philosophers do you think do a good job of characterizing the nature of the social world? What metaphors and concepts do you find most helpful in thinking about the social world? Why does social science matter? What is the good of social science knowledge? In the natural sciences the answer is often pretty simple and pragmatic: natural science knowledge allows us to predict and control aspects of the natural environment. Physics underlays engineering. That's not always true, and it's not the only reason we value research and theory in physics, chemistry, or biology. Some areas of physics and biology offer neither prediction nor control. And surely we also value physics for the abstract understanding it offers for how the world works. But prediction and control are convincing and common reasons that many people would give for valuing natural science. The situation is different in sociology, political science, and economics. Social science hypotheses and theories rarely give rise to important and usable predictions. The reasons for this lack of predictive power are many. Social ensembles (e.g. 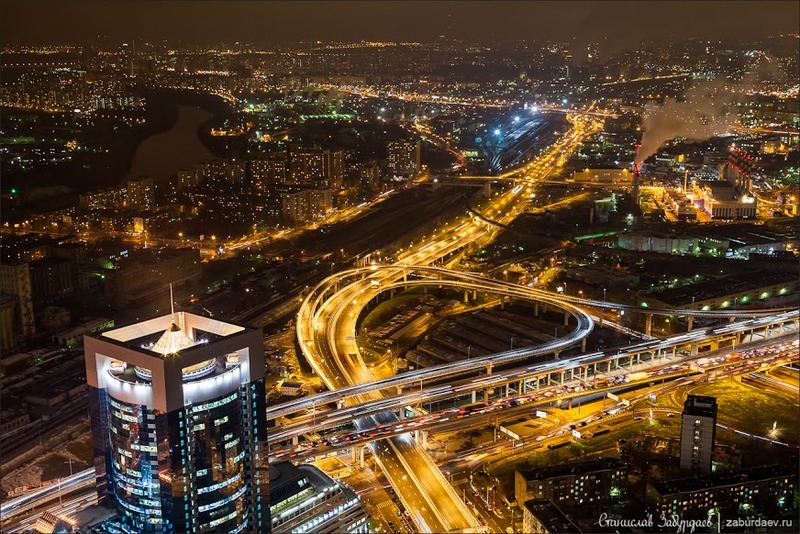 cities) are causally heterogeneous and open-ended, so even if we have a strong basis for predicting the behavior of a component system, the aggregate behavior of the ensemble is indeterminate. Social processes are composed of contingent but causally important actions by many agents, leading to path dependency and contingency in the outcome. 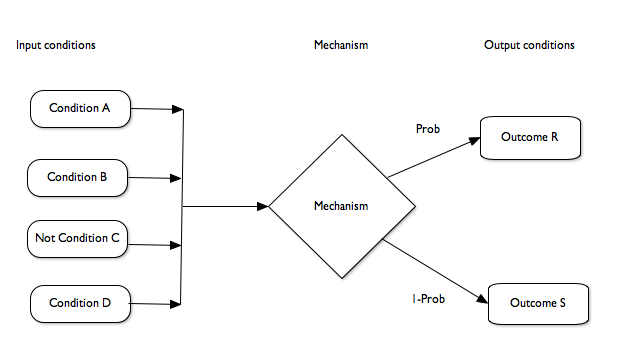 And even isolated processes (e.g. demographic transition) are often under-determined and path-dependent. So prediction is very limited in the social realm. What about control? Once we have done some theorizing about a social process or problem, we will often have arrived at some ideas about which factors have a positive or negative influence on an outcome of interest. If we are interested in high school graduation rates or delinquency rates, social science research may advise us that "improving attendance improves graduation" or "neighborhood violence enhances delinquency". These hypotheses suggest interventions and policy reforms. That said, the same circumstances that reduce our ability to predict social outcomes also limit our confidence in the efficacy of given interventions. The impossibility of designing reliable strategies for regional economic development or job creation are cases in point. If graduation rates are influenced by a handful of inter-related causal circumstances, it is difficult to have a lot of confidence in a single-factor policy reform. Where the social and behavioral sciences can offer the greatest confidence is in several important areas. Demography is one; the ability of demographers to forecast population size and composition is extensive. Discovery of behavioral patterns in a variety of circumstances is another. Education scholars can learn how children commonly respond to this or that feature of the classroom environment; sociologists can learn how drug offenders usually respond to various treatment programs; rural sociologists can discover how small farmers respond to the availability of new seed varieties. And political scientists and social network specialists can work out the system tendencies of various voting systems or communications network architectures. So there is no shortage of reliable, useful results in the social sciences. What is more problematic is the idea that these sorts of findings might add up to a body of knowledge that permits predictions at the aggregate level of complex social ensembles. 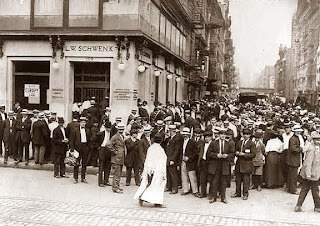 We might say that sociology or political science offer some guidance about population and behavioral tendencies, system characteristics, and rough estimates of the causal properties of various social structures. And we can use these hypotheses and theories to make some informed guesses about the likely direction of change that will result from a given intervention or environmental change. But we are forced always to concede that our expectations take the form of bounded ceteris paribus predictions rather than confident and reliable point estimates of outcomes. So policy formation and social science research have a looser fit than engineering and physics. I think this assessment fits pretty well with the idea that the social sciences are at their best when they focus on identifying and documenting a range of social mechanisms and processes, or when they pursue Merton's ideal of "theories of the middle range." And this leads us to recognize the limits that surround the possibility of aggregating these kinds of mechanisms into confident assertions about the behavior of the large social ensemble. Social policy is not an exact science. Do these ideas lay a basis for answering the basic question, why does social science matter? They do. It is an unmistakable reality that we are embedded within social and political processes that have enormous consequences for human wellbeing and human suffering. The complex interactions of human behavior contribute both to some of the greatest successes of our civilizations and to the worst failures -- persistent poverty, violence, civil wars, climate change, environmental exhaustion, and hunger. We need to solve these "wicked" problems (link), but the interventions we choose need to be as well designed as possible to lead to better outcomes. The tools and methods of the social and behavioral sciences are the best hope we have for guiding our efforts as we strive to solve humanity's most intractable problems. And it is crucial to keep before us the way that progress in social understanding takes place: through careful and persistent research on a great range of mid-level social processes and patterns of social behavior. 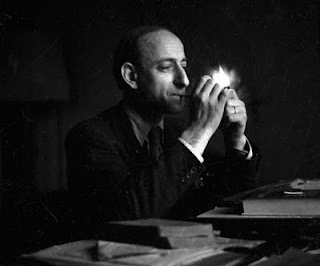 Several readers of the recent post on Raymond Aron asked about other surveys of the history of sociology that are sometimes considered helpful. So I've pulled a couple of books off the shelves to mention as sources. I'm sure that readers will have additional suggestions. Readers, what are your preferred books on this subject? 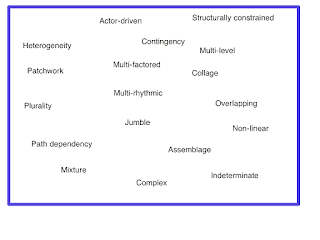 A key premise of complexity theory is that a population of units has "emergent" properties that result from the interactions of units with dynamic characteristics. Call these units "agents". The "agent" part of the description refers to the fact that the elements (persons) are self-directed units. 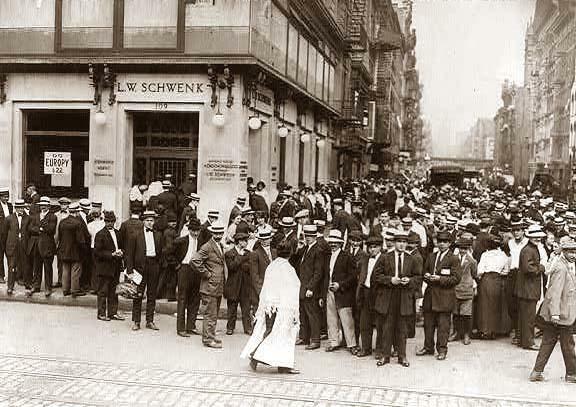 Social ensembles are referred to as "complex adaptive systems" -- systems in which outcomes are the result of complex interactions among the units AND in which the units themselves modify their behavior as a result of prior history. Herbert Simon added a new chapter on complexity to the third edition of The Sciences of the Artificial - 3rd Edition in 1996. By adopting this weak interpretation of emergence, we can adhere (and I will adhere) to reductionism in principle even though it is not easy (often not even computationally feasible) to infer rigorously the properties of the whole from knowledge of the properties of the parts. In this pragmatic way, we can build nearly independent theories for each successive level of complexity, but at the same time, build bridging theories that show how each higher level can be accounted for in terms of the elements and relations of the next level down. (172). This formulation amounts to the claim of what I referred earlier to as "relative explanatory autonomy"; link. It is a further articulation of Simon's view of "pragmatic holism" first expressed in 1962 (link). In this diagram A, B, and D are jointly sufficient for the working of the mechanism, and C is a "blocking condition" for the mechanism. 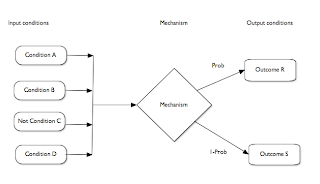 When A,B,C,D are configured as represented the mechanism then does its work, leading with probability PROB to R and the rest of the time to S.
So how do we get complexity, emergence, or unpredictability out of a mechanical system consisting of a group of separate mechanisms? If mechanisms are determinate and exact, then it would seem that a mechanical system should not display "complexity" in Simon's sense; we should be able to compute the state of the system in the future given the starting conditions. There seem to be several key factors that create indeterminacy or emergence within complex systems. One is the fact of causal interdependency, where the state of one mechanism influences the state of another mechanism which is itself a precursor to the first mechanism. This is the issue of feedback loops or "coupled" causal processes. Second is non-linearity: small differences in input conditions sometimes bring about large differences in outputs. Whenever an outcome is subject to a threshold effect, we will observe this feature; small changes short of the threshold make no change in the output, whereas small changes at the threshold bring about large changes. And third is the adaptability of the agent itself. If the agent changes behavioral characteristics in response to earlier experience (through intention, evolution, or some other mechanism) then we can expect outcomes that surprise us, relative to similar earlier sequences. 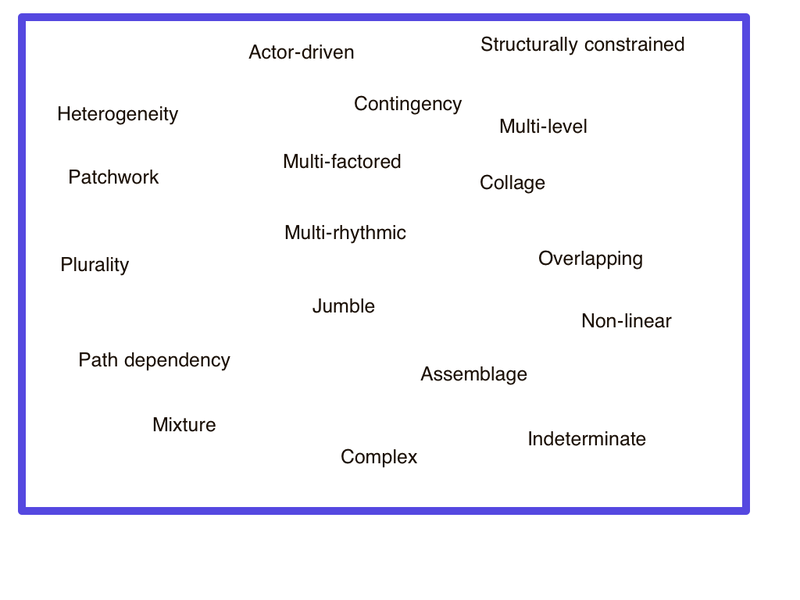 And in fact, mechanisms display features of each of these characteristics. They are generally probabilistic, they are often non-linear, they are sensitive to initial conditions, and at least sometimes they "evolve" over time. 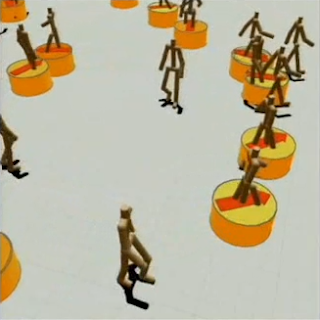 Here is a Google Talk by Adrien Treuille on "Modeling and Control of Complex Dynamics". The talk provides an interesting analysis of "crowd behavior" based on a new way of representing a crowd. 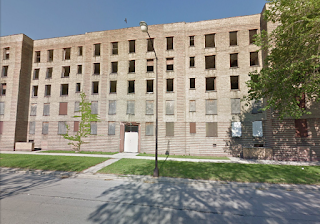 In Great American City: Chicago and the Enduring Neighborhood Effect Robert Sampson provides a very different perspective on the "micro-macro" debate. 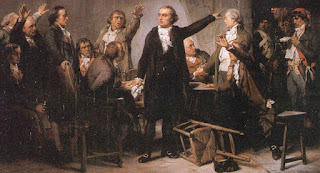 He rejects the methodologies associated both poles of the debate: methodological individualism ("derive important social outcomes from the choices of rational individuals") and methodological structuralism ("derive important social outcomes from the features of large-scale structures like globalization"). 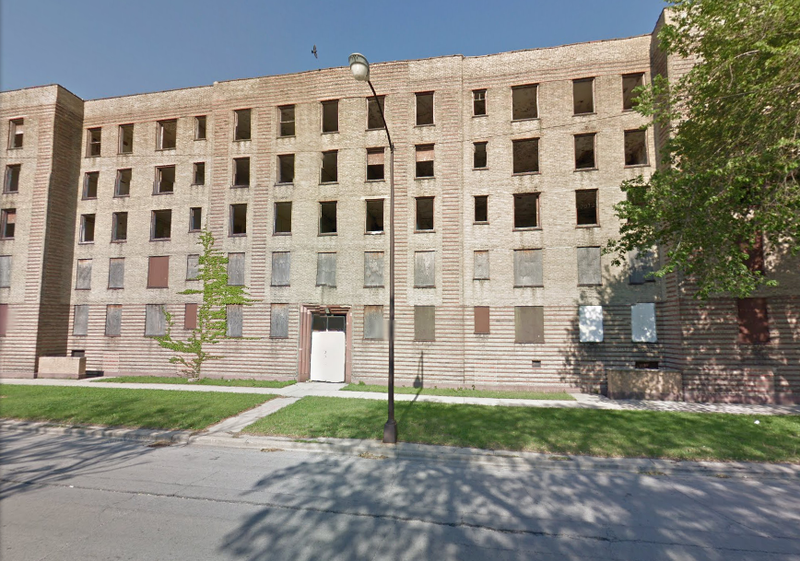 Instead, he argues for the causal importance of a particular kind of "meso" -- the neighborhood. He takes the view that neither "bottom-up" or "top-down" sociology will suffice. Instead, we need to look at processes at the level of socially situated individuals. But unlike Coleman (and like the argument I offered in an earlier post about meso-level explanation; link), Sampson allows for the validity of type-4 causal mechanisms, from "neighborhood structure and culture" to "rates of social behavior". So neighborhoods are not simply outcomes of individual choices and behavior; they are social ensembles that exert their own causal powers. 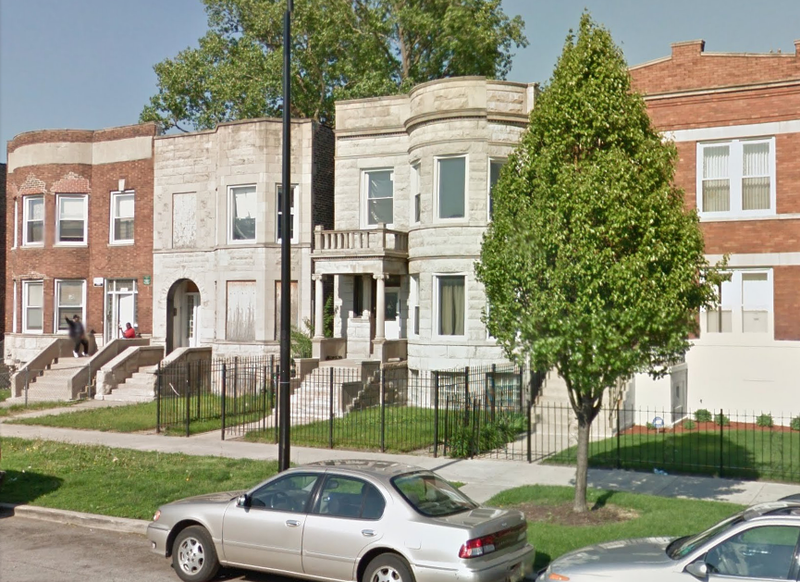 This set of themes asserts a series of important correlations between neighborhood features and social outcomes. The hard question is to identify the social mechanisms that underlie these correlations. "It is from this idea that in recent decades we have witnessed another turning point in the form of a renewed commitment to uncovering the social processes and mechanisms that account for neighborhood (or concentration) effects. 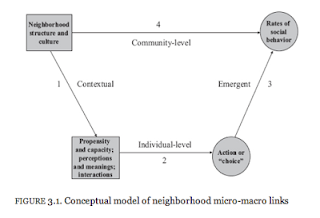 Social mechanisms provide theoretically plausible accounts of how neighborhoods bring about change in a given phenomenon" (46). This is a fascinating and methodologically innovative piece of urban sociology. Sampson's use of large data sets to establish some of the intriguing neighborhood patterns he identifies is highly proficient, and his efforts to place his reasoning within a more theoretically sophisticated framework of multi-level social mechanisms is admirable. In an interesting twist, Sampson shows how it is possible to expand on the very costly video-based methodology of the original PHDCN study by making use of Google Street View to do systematic observations of neighborhoods in Chicago and other cities (361). How can we best tell the story of the development of sociology as an empirical social science? Raymond Aron undertook to do so in Main Currents in Sociological Thought (2 volumes) by reviewing the main sociological ideas of the greats: Montesquieu, Comte, Marx, Tocqueville, Durkheim, Pareto, and Weber. The book was first published in France in 1965 as Les étapes de la pensée sociologique, and in its English translation in the United States in the same year. 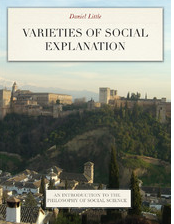 Much has changed in sociology in the intervening half century; so how does Aron's work hold up? Is this still a valuable approach? And can we learn something important about the thinking of these particular sociologists, or about sociology more generally, by re-reading Aron? Each volume closes with a sort of "conclusion" -- the first volume in the form of a discussion of how Marx and Tocqueville understood the Revolutions of 1848, and the second in the form of a substantive comparison of Durkheim, Pareto, and Weber. So how does Aron's history of sociological thought measure up? His chapter on Marx is a very good exposition of Marx's key ideas -- historical materialism, exploitation, alienation, and the relationships that exist between Marx's thought and his predecessors. There is also a serious effort to see how these ideas relate to the current (post-war) realities of capitalism in Europe and North America. For example, he explores how the workings of the modern corporation relate to the theories of private property that Marx presupposes (200 ff.). This ninety-page chapter serves as a very good introduction to Marx's thinking as a social scientist. Likewise, Aron's discussions of the other figures he treats are stimulating and insightful and give an accurate presentation of the sociologist's thought. His discussions of Durkheim and Weber are particularly good. This kind of discursive summary and discussion of the theories is valuable for the reader who is just beginning his or her study of the great figures of sociological theory. What the work does not provide is a view of the sociology of knowledge that might be pertinent to these theories -- what problematics the thinkers were driven by, what assumptions they made about the empirical investigation of a contingent social reality, and how they fit into their contemporary research communities. The theories are treated as finished systems rather than bodies of thought that developed out of consideration of particular problems of social understanding. Partly this may reflect the fact that these "founders" were not actually "professional" social scientists and were often driven by issues deriving from large philosophical theories as much as they were guided by specific empirical problems. The question of how to define "a science of society" is a deeply important one, and it would be very interesting to try to interpolate answers to this question into Aron's narrative. 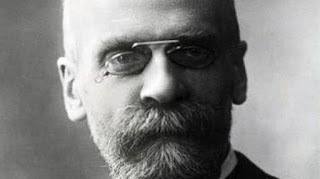 In this respect Steven Lukes's intellectual biography of Durkheim, Emile Durkheim: His Life and Work: A Historical and Critical Study, provides a much more probing examination of this issue in Durkheim's thought and context. This somewhat austere book can be read in parallel with the much lighter Bruno Latour and Emilie Hermant (1998), Paris ville invisible, which tries to cover much of the same ground through a succession of photographic essays. 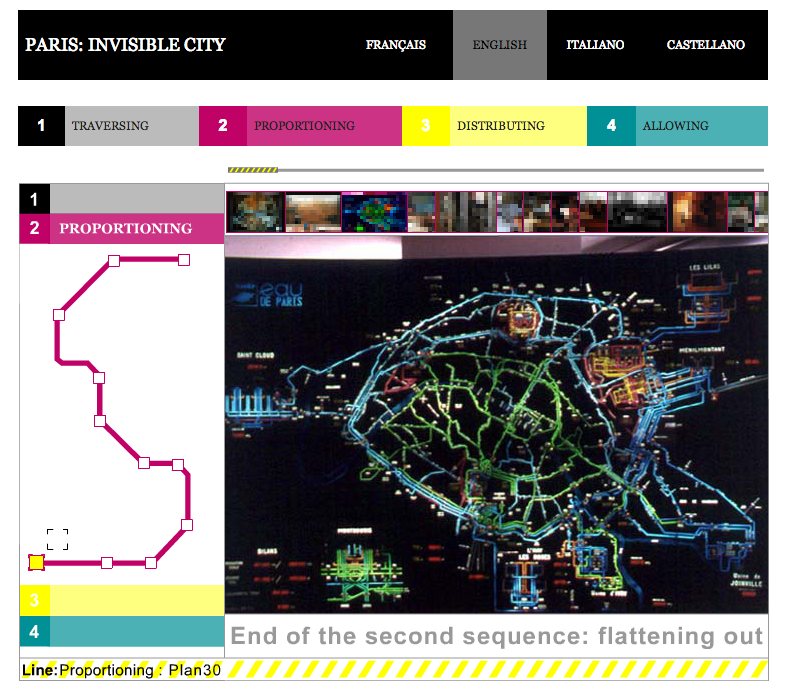 It's available online in English (Paris the Invisible City) link. This multimedia essay is fascinating, and equally so for the suggestion that it somehow illustrates the main ideas of Reassembling the Social. Since those ideas are fundamental to "actor-network theory" and to the theory of assemblage, it is worthwhile spending some time on the multimedia essay. The aim of this sociological opera is to wander through the city, in texts and images, exploring some of the reasons why it cannot be captured at a glance. Our photographic exploration takes us first to places usually hidden from passers-by, in which the countless techniques making Parisians' lives possible are elaborated (water services, police force, ring road: various "oligopticons" from which the city is seen in its entirety). This helps us to grasp the importance of ordinary objects, starting with the street furniture constituting part of inhabitants' daily environment and enabling them to move about in the city without losing their way. It also makes us attentive to practical problems posed by the coexistence of such large numbers of people on such a small surface area. All these unusual visits may eventually enable us to take a new look at a more theoretical question on the nature of the social link and on the very particular ways in which society remains elusive. 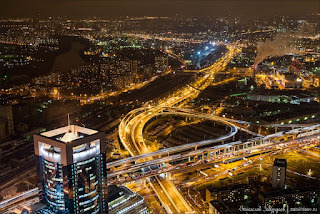 We often tend to contrast real and virtual, hard urban reality and electronic utopias. This work tries to show that real cities have a lot in common with Italo Calvino's "invisible cities". As congested, saturated and asphyxiated as it may be, in the invisible city of Paris we may learn to breathe more easily, provided we alter our social theory. 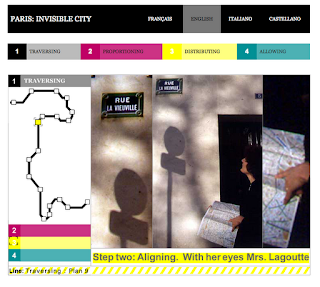 With her eyes Mrs. Lagoutte looks at the name "rue la Vieuville" in white letters on a blue background. With her forefinger she points at the same name "rue la Vieuville" in bold type on the map she's holding with her other hand. With a quick movement of the chin she accommodates her gaze to these two very different texts: one, written diagonally on the page, is 1mm big and requires short-sightedness; the other, horizontal, is 6cm high and requires long-sightedness. A miracle! The two match, letter for letter, despite the glaring differences. She's arrived! This is the street she was looking for... and here's number five! In a single glance at her map she embraces the entire eighteenth arrondissement. By lifting her head she sees only a white wall, very much like all the others, that she couldn’t have identified without having been born in the neighbourhood or living there for a long time. Fortunately she also sees the street nameplate and the name written on it. What does she see? What is she touching with her forefinger? The reader navigates the presentation by choosing "Traversing," "Proportioning," "Distributing," and "Allowing" on the top bar, and then navigating from Plan to Plan in the sidebar. It is possible, of course, to go through the presentation in a fully linear mode; but it is also possible to jump easily from "Traversing" to "Distributing" or from Plan to Plan. So go ahead -- take the journey and come back for some discussion! So what does the production show us? What has Latour illustrated in this work that "covers much the same ground" as Reassembling the Social? Here are a few fairly superficial observations. First, the presentation highlights "invisibility" -- the fact that this complex social scrum is partially visible, but partially hidden, no matter what perspective we take. 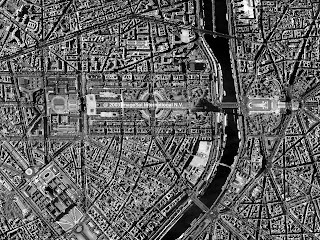 Third, the notion of "representation" is key: maps, street signs, department store panoramas, satellite images. This is a "knowledge-reality" problematic: what is the status of the knowledge (veridical representativeness) of the map or the satellite image? Fourth, there is a persistent attention to technical knowledge and technical specialists throughout the essay: infrastructure specialists, computer experts, GIS technicians, schedulers, drainage specialists, traffic engineers, ... And much of what they do falls on the "invisible" end of the spectrum for most observers. Fifth, there is a recurring theme of "composition" -- the idea that the social scrum of the city is an amalgam. 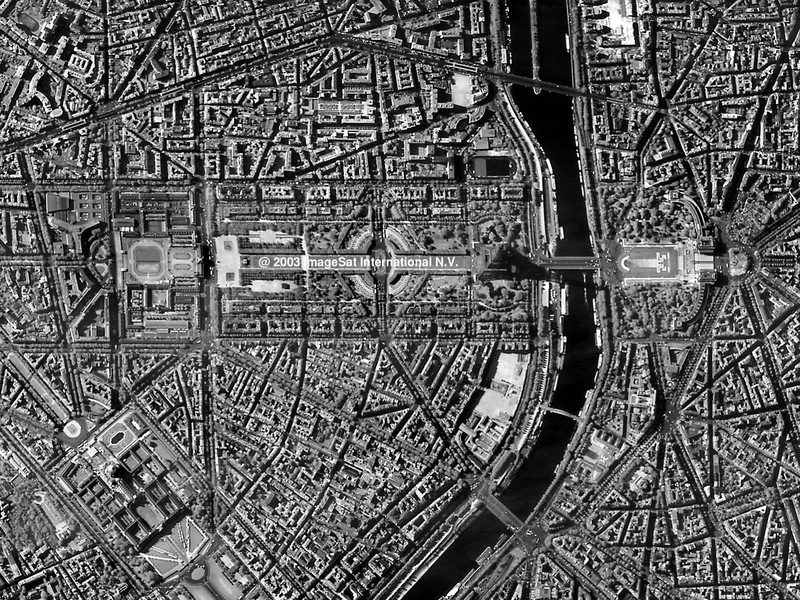 "In this sociological opera we're going to move over from the cold and real Society to warm and virtual plasma: from the entire Paris set in one view to the multiple Parises within Paris, which together comprise all Paris and which nothing ever resembles" (Plan 4). There is a recurring and seemingly important use of temperature -- hot, cold -- as a scale for considering social situations and "data". "At low temperature we have the impression of an isolated and fragile passer-by circulating in a frame that's older, harder and bigger than himself" (Plan 26). This is a fascinating and open-ended piece of work -- not philosophy, not sociological theory, not pure artistic creativity; and yet some of all of this. 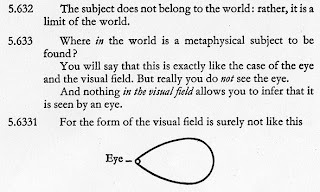 Do other readers have their own interpretations of the work and its significance within ANT theory and the theory of assemblage?